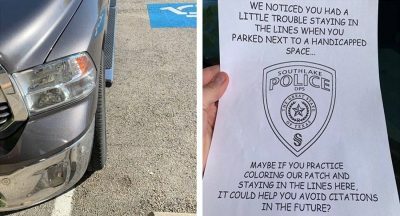 Unless you’ve been living under a rock these past few years or you simply don’t follow the automotive industry, odds are you’re aware of how SUVs have been taking over our streets. We’re long past the point where we can justify this uptrend with sensible and practical arguments. 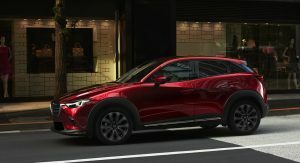 Nobody really needs a Mazda CX-3 instead of, let’s say, a larger and actually more affordable Mazda3 hatch, and there’s certainly no reason why someone’s Jaguar F-PACE should be putting down 550 PS and hit 60 mph in nearly 4 seconds flat. 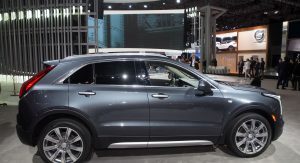 Yet, the SUV fever is here to stay and small crossovers, as well as really fast ones, are all part of the group. 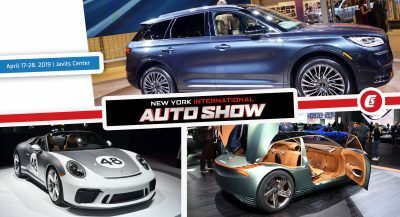 With that in mind, here’s a rundown of all the new SUVs presented during this year’s New York Auto Show, be it in production, near-production or concept form. The following list is in no particular order. 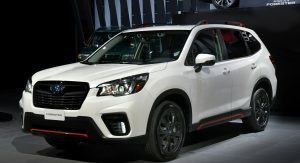 The all-new, fifth-generation Forester looks to build on everything the previous model excelled at, without changing the recipe too much, at least visually. From a distance, we challenge you to even tell them apart. Yet, it’s the new model that brings a new platform with a longer wheelbase along with EyeSight driver assist technology as standard, an updated 2.5-liter boxer engine and a better built interior. 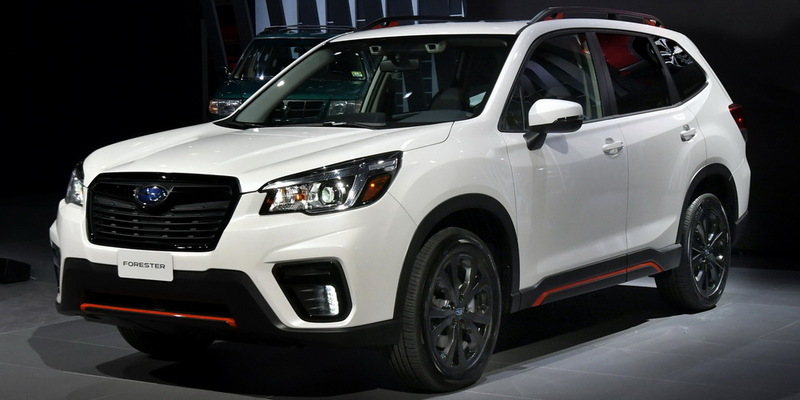 This means it’s bigger, more comfortable and more practical than its predecessor, and if you abide by the “If it ain’t broke…” philosophy, then the 2019 Forester should definitely be a success story. 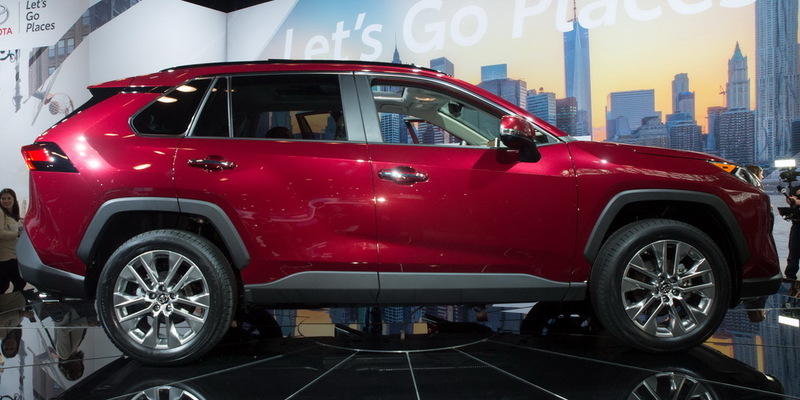 Unlike the all-new Forester, Toyota’s RAV4 is a complete departure from the older model, inside and out. It looks very similar to last year’s FT-AC concept, which means that it boasts a rugged and modern appearance that might actually, for the first time in its existence help it really stand out in this crowded segment. 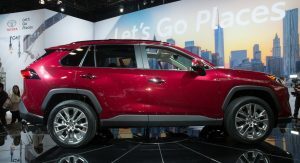 As you would expect, the all-new RAV4 comes with a wide range of active safety features, a longer wheelbase, a more rigid chassis (by 57%), and for the first time ever in a Toyota, Dynamic Torque Vectoring AWD with Rear Driveline Disconnect. U.S. and Canada buyers need to wait until the end of 2018 in order to get their hands on one. 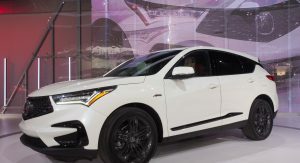 In an attempt to make a bigger splash in the compact luxury SUV segment, Acura updated the RDX with a new exterior design and a longer wheelbase, while fitting it with a 2.0-liter turbo and the automaker’s own Super-Handling All-Wheel Drive system. 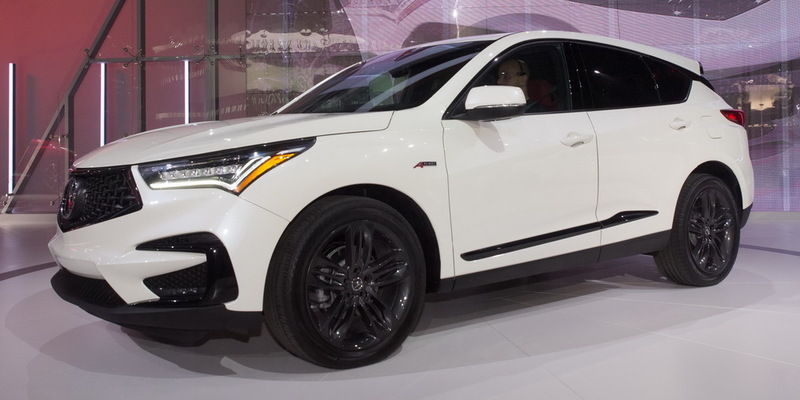 This engine, with its 272 HP and 280 lb-ft (379 Nm) of torque should make the 2019 RDX faster than its naturally aspirated V6-powered predecessor. As for the interior, it looks better built, boasting premium materials like brushed aluminum, open-pore wood, ultrasuede and leather, while the 10.2-inch center display screen is there to take care of all your infotainment needs. 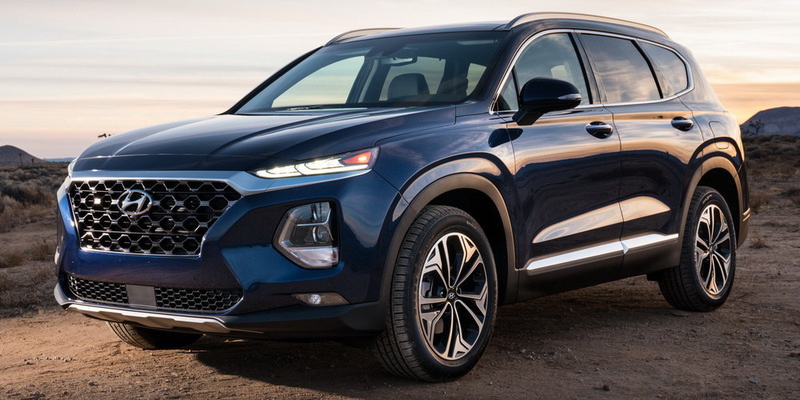 While not an all-new model, the Tucson has received a facelift for the 2019MY. 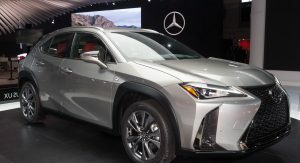 It comes with an updated grille, revised headlights and taillights, new wheels, a 7-inch infotainment system with Apple CarPlay and Android Auto and loads of safety features like Forward Collision Avoidance Assist with Pedestrian Detection, High Beam, Assist, Smart Cruise Control and more. Customers will be able to choose between two four-cylinder petrol units in a 2.0-liter one with 164 HP one and a 2.4-liter with 181 HP. The new Lexus UX will be the Japanese automaker’s first-ever model to be offered through a subscription service, although if you want to buy it directly, you’ll have to wait until December to do so. 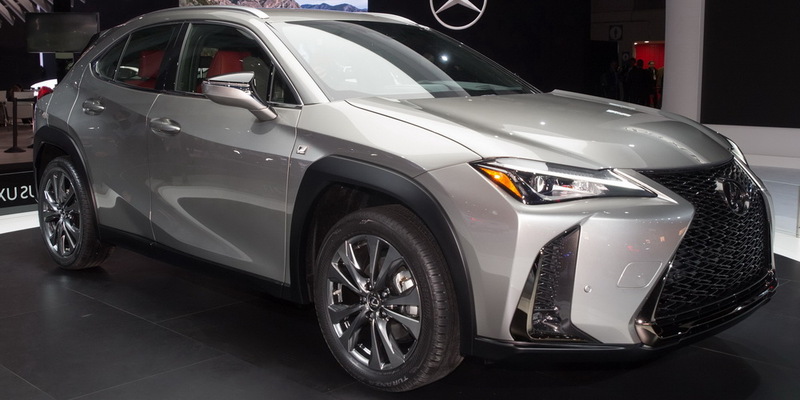 Built on Lexus’ new GA-C architecture, the UX comes with two powertrain configurations in the FWD UX 200 and the UX 250h, which has all-wheel drive. Inside, you get Apple CarPlay and Amazon Alexa integration as standard, while available safety tech includes Lane Tracing Assist, Dynamic Radar Cruise Control, Automatic High Beams, Road Sign Assist and more. The XT4 is easily identifiable as a Cadillac thanks to the tear-drop LED headlights, streamlined, angular styling and high shoulder line. 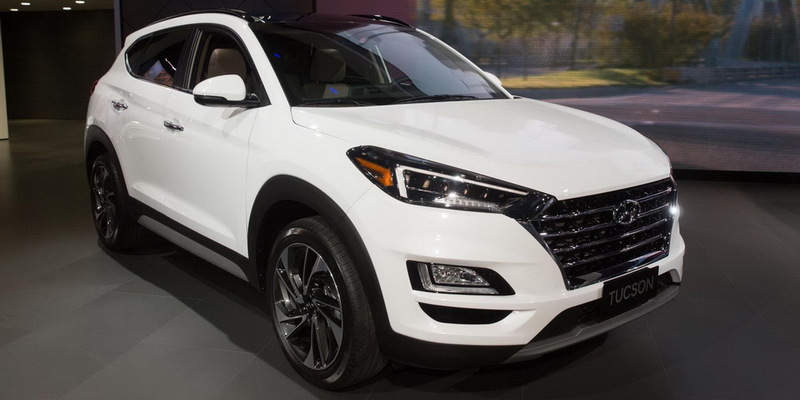 Inside, it comes with power front seats, aluminum trim, leather upholstery, dual-zone climate control and four USB ports – all standard on the base spec XT4 Luxury, which is priced from $35,790. Opt for the Premium Luxury version and you also get a power liftgate, more driver assistance features, different wheels, illuminated door handles and satin aluminum roof rails. Power only comes from a turbocharged 2.0-liter four-cylinder petrol engine, churning out 237 HP and 258 lb-ft (350 Nm) of torque. 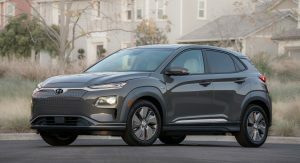 The very first batch of Kona Electric models will be landing on U.S. soil in the fourth quarter of this year, with California calling dibs on initial availability. Doing the pushing is an electrified powertrain producing 201 HP and 291 lb-ft (394 Nm) of torque, working alongside a 64 kWh lithium-ion battery pack. 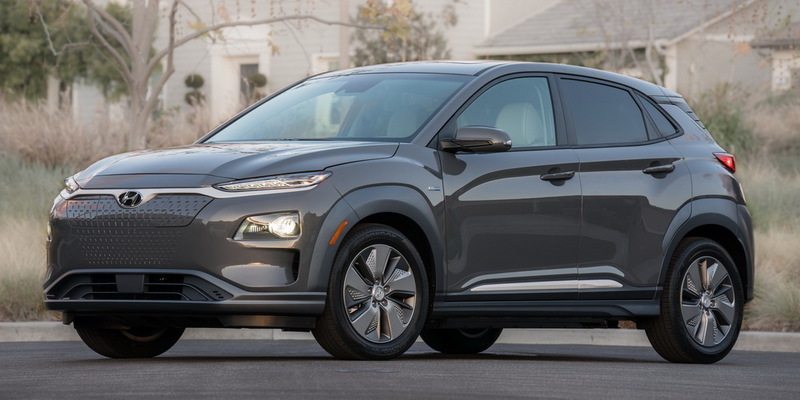 According to Hyundai, the Kona Electric has an EV-range of 250 miles (402 km). As for the interior, while we wouldn’t exactly call it impressive, it is packed with all sorts of modern safety systems such as Lane Keep Assist, Blind-Spot Collision Warning, Rear Cross-Traffic Collision-Avoidance Assist, Parking Distance Warning and more. The EV version of the Kona, unlike its petrol-powered siblings, also comes with a taller center console to accommodate its shift-by-wire controls. 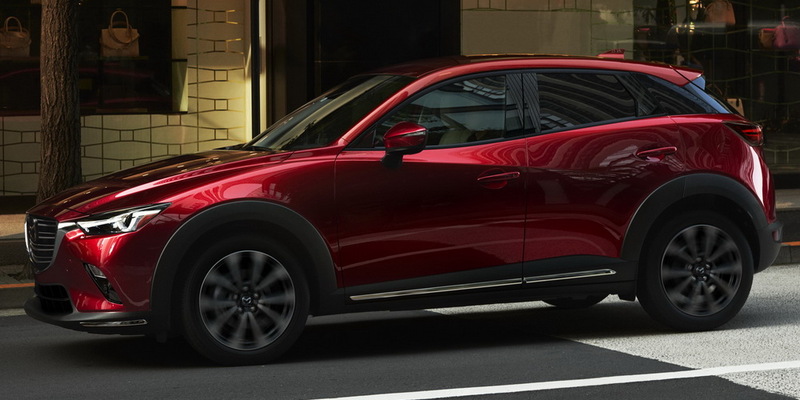 Mazda teased us with a mystery NY Auto Show unveiling only to show us a mildly upgraded CX-3 crossover. How mild are those upgrades you ask? Well, the front grille is new, and there are more chrome accents and piano black elements. 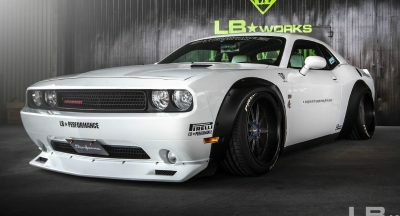 Oh, and let’s not forget about the revised 18-inch wheels or the LED taillights. Apparently, the SKYACTIV-G 2.0-liter petrol unit has also been refined, while the cabin now features an electronic parking brake. That’s about it folks. 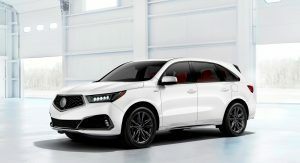 Joining Acura’s new RDX in New York is the facelifted MDX, scheduled to go on sale this summer. 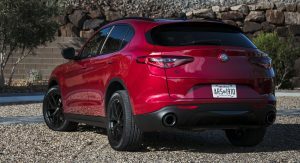 It comes with a revised front end, larger tailpipes, smoked headlights and taillights, 20″ wheels and a slightly more refined interior. It’s the A-Spec version that stands out most though, with its paddle shifters, carbon fiber trim and standard Android Auto and Apple CarPlay connectivity. Everything you need to keep you safe on the road is part of the AcuraWatch suite of driver assistance tech. There’s Forward Collision Warning, Lane Keeping Assist, Lane Departure Warning, Collision Mitigation Braking, Road Departure Mitigation and Adaptive Cruise Control. The best part though? 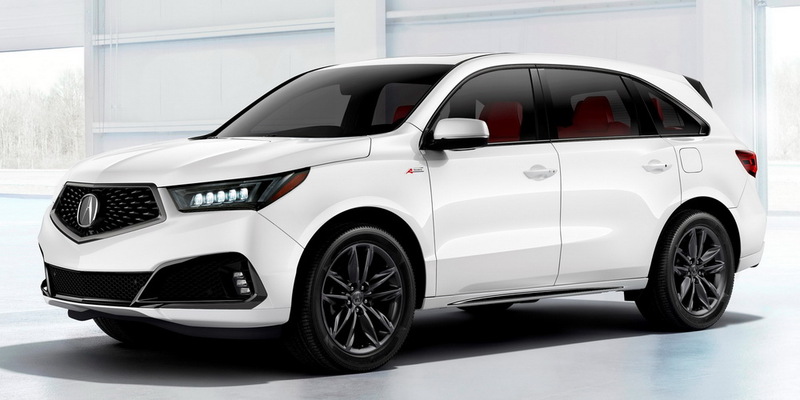 Acura promises to bring the Type-S nameplate back to life in the next few years, which means the MDX’s future might be brighter than we thought. 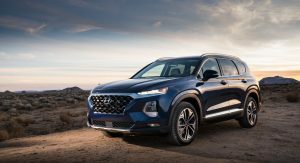 Unveiled at the 2018 Geneva Motor Show, the all-new Hyundai Santa fe made its North American debut in NY and drew quite a lot of attention to itself thanks to the new design, increased size and much-improved interior. 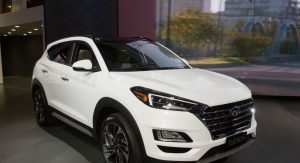 The cabin sports a digital instrument cluster, 8.5-inch head-up display, new infotainment system and Hyundai’s Smart Sense tech, which includes all the “usual suspects” such as collision avoidance, blind spot detection, lane keeping and all that. There are also a few novelties though, like the Rear Occupant Alert and the Safe Exit Assist systems. With sales scheduled for this summer, U.S. buyers will have to choose between three powertrains. Specifically, there’s a 2.4-liter petrol with 185 HP and 178 lb-ft (241 Nm), a 2.0-liter petrol with 235 HP and 260 lb-ft (353 Nm) and a 2.2-liter diesel with 190 HP and 322 lb-ft (436 Nm). 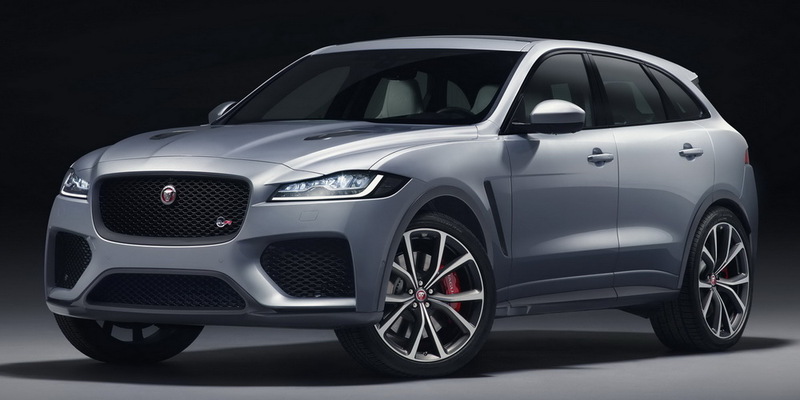 Jaguar’s new F-PACE SVR made its world debut in NY, boasting the same 5.0-liter supercharged V8 unit found in multiple JLR vehicles such as the F-TYPE and Range Rover Sport SVR. 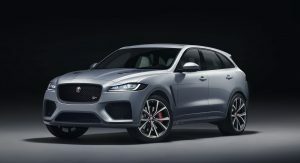 This power unit gives the F-PACE 550 PS (542 HP) and 680 Nm (501 lb-ft) of torque to play with, allowing it to sprint to 60 mph (96 km/h) in 4.1 seconds, before maxing out at 176 mph (283 km/h). 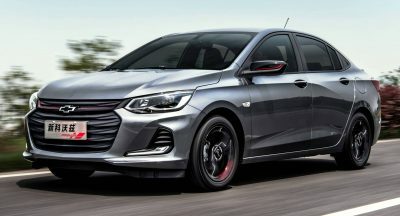 Future buyers will also enjoy stiffer springs, new wheels and brake discs, aero enhancements and a revised interior with performance front seats and a standard Touch Pro infotainment system. The price? 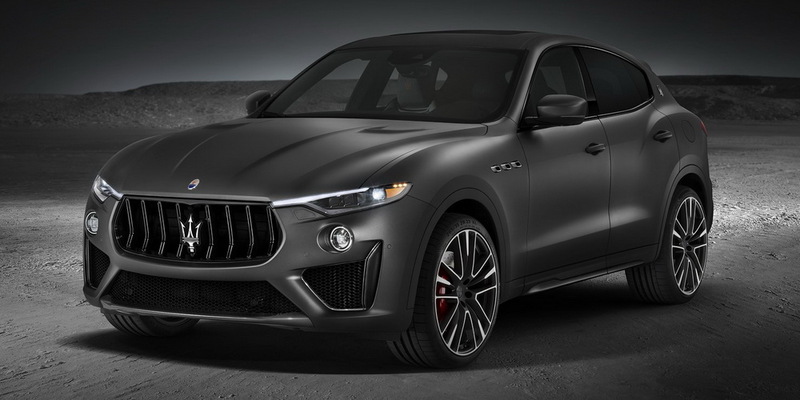 A mild $79,990 in the U.S.
Maserati couldn’t let Jaguar have all the fun in NY, so they brought out a Trofeo version for the Levante SUV, scheduled to enter production this summer. 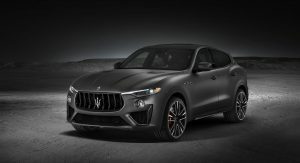 Powered by a Ferrari-built twin-turbo 3.8-liter V8, the Levante Trofeo puts down 590 PS and 538 lb-ft (730 Nm) of torque, resulting in a 0 to 100 km/h (62 mph) time of just 3.9 seconds. Meanwhile, the exterior gets full matrix LED headlights, a piano black grille, ventilated hood, large air intakes with honeycomb mesh inserts and carbon fiber components. More carbon fiber can be found inside, where there’s also a dashboard-mounted clock, new floor mats and a 17-speaker Bowers & Wilkins surround sound system. 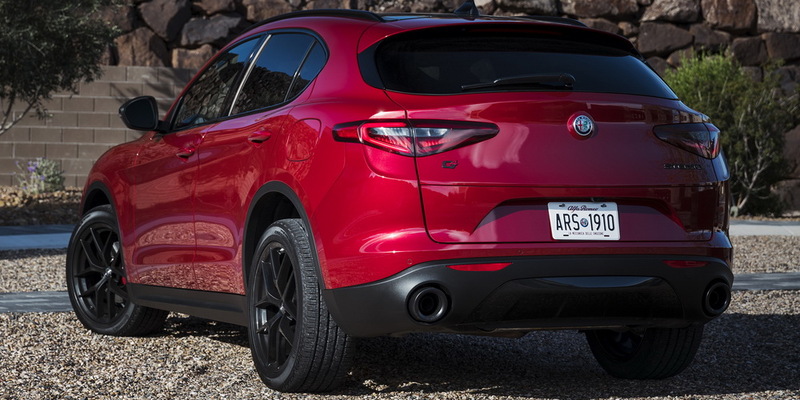 Nice try Alfa, but you didn’t think you could sneak this Stelvio past us did you? It definitely counts as somewhat of a novelty, and since we’re trying to round up all the new SUVs from NY, we just couldn’t leave this one out. The Nero Edizione is simply a styling package that holds 20-inch wheels and dark exterior accents for the grille surround, mirror caps, exhaust tips, headlamp bezels, window surrounds and badging. The only engine available will be a 2.0-liter turbo petrol with 280 HP. 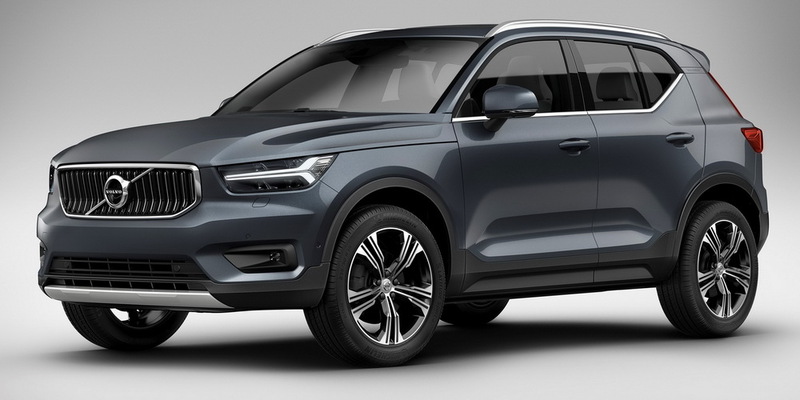 In Inscription trim, the Volvo XC40 is simply put, a very well-spec’d crossover, featuring unique skid plates, chrome trim, new exterior colors, new wheels, and dual tailpipes. 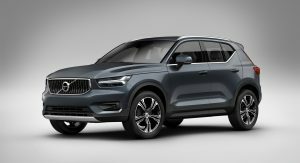 Inside, it comes with Driftwood trim and a crystal gear shifter (like its larger siblings), and according to Volvo, it’s “one of the best-equipped compact luxury SUVs available”. As for power, right now, the only available unit is a 248 HP T5 Drive-E, though a T4 with front wheel drive and 187 HP will arrive this summer, followed by a hybrid and a pure electric model. 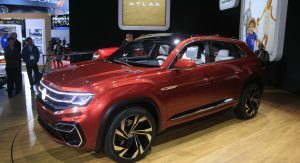 In case the seven-seat Atlas was a bit too bland for you, feel free to look forward to the Cross Sport Concept going into production next year. 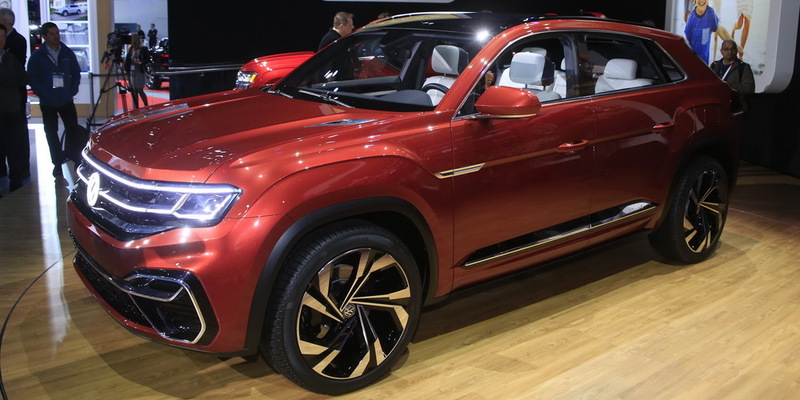 Unlike the regular Atlas, it will feature a sportier exterior, with a more modern front end and a sloping roof line. Inside, while not as striking as the new Touareg, the Cross Sport Concept does come with a 12.3-inch digital instrument cluster and a sleek 10.1-inch touchscreen infotainment display, with sensors that allow for gesture control. Then there’s a smaller, third display that lets you fiddle with the climate control settings and the heated/ventilated seats. Powering this concept is a plug-in hybrid system, comprised of a 3.6-liter V6 petrol unit, two electric motors and an 18 kWh lithium-ion battery pack, for a total of 355 HP. In a straight line, VW says it will do 0-60 in 5.4 seconds, max out at 130 mph (209 km/h) and cover 26 miles (41.8 km) without using the internal combustion engine. 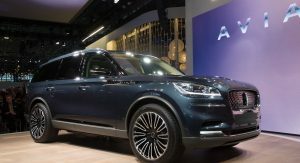 As one of the stars of this year’s NY Auto Show, the Lincoln Aviator previews a three-row mid-size SUV that will eventually take its place within the range, below the Navigator, sometime next year. The Aviator is more of a teaser than a concept, so we can expect the final product to look more or less the same, boasting an elegant exterior and a modern and minimalist interior, packed with all the clever connectivity and safety features you could want. 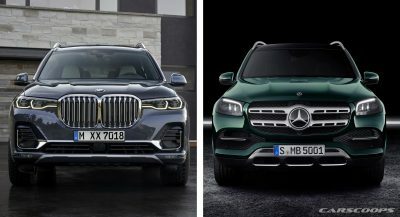 I’ve been a sports car fan and owner all my life but even I can see the hypocrisy of the motoring press whinging over the popularity of CUVs because people “don’t need a SUV” when they’ve been singing the praises of impractical sports cars designed for Nuremberg lap times as daily drivers for decades. 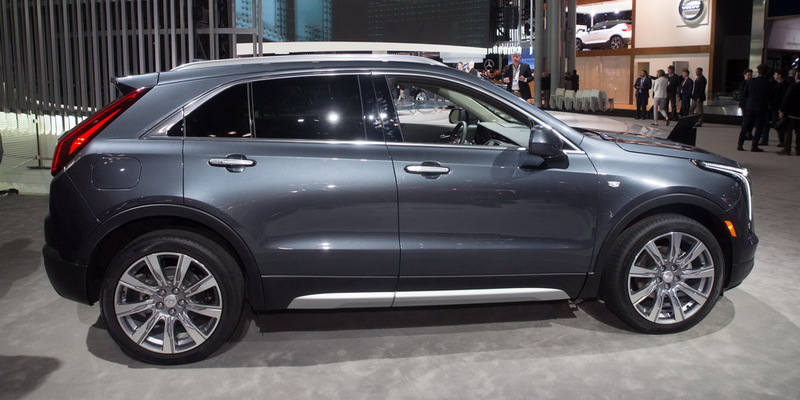 A CUV makes a whole lot more sense as a daily driver for most people than a 911. And therefore, a crying shame. 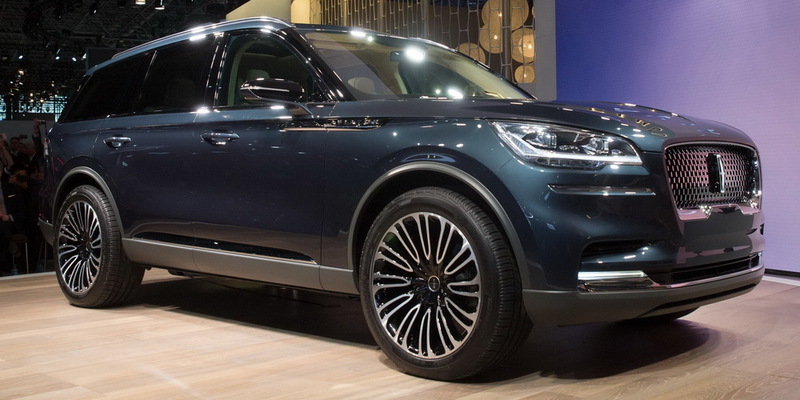 The Lincoln Aviator concept is really growing on me. Lincoln’s new design language, especially their interiors have a retro but modern take of the old Lincoln’s in the past.